Are we set up to believe in a higher power? Deepak Chopra says belief is a step ahead of hope. Deepak Chopra quotes philosopher, psychologist William James "The Will to Believe"
(OPRAH.com) -- Are human beings set up to believe in a higher power? Some scientists say yes, based on either a "faith gene" or certain areas of the brain that light up on an MRI when people pray or think about God. But this is a highly destructive "yes," because it reduces spirituality to a mechanical function like heart rate or the secretion of growth hormone. The same evidence fuels the arguments of atheists, who claim that if God is just a chemical reaction, it's time we quit believing in a deity. At the very least, they say, we should stop glorifying God, now that he (or she) has been demoted far below the exalted status one finds in the Bible and the rest of world scriptures. I think atheists are getting a lot of mileage out of a facile argument. In 1896, long before brain imaging and the discovery of DNA, the famous Harvard philosopher and psychologist William James published a lecture called "The Will to Believe." It contains one idea that is a revelation. James found a way for science to lead to God instead of defeating God. Let me give the revelation a context. James thought people had a right, perhaps even a drive, to say that God existed, and even though they couldn't offer evidence for their religious beliefs, it sustained them with comfort, hope and so on. Atheists scoff at this rationale, claiming it's childish to fall back on fairy tales about God just because they make you feel better. Far better to grow up and see what's before your eyes: the material world operating through random chance without the slightest sign of a higher intelligence, moral authority, afterlife and all the other trappings of religion. But James was ahead of this argument. What, he asked, if believing in God actually makes new evidence appear? That was the revelation, because while believing in ghosts or Cinderella won't make either one appear (so far as we know), God is an aspect of our own consciousness. The deity is continuous with the human mind. When Jesus said, "Seek the kingdom of Heaven within," he was pointing to this very continuity. I am paraphrasing James and to some extent going beyond his lecture. But what fascinates me is that he hit upon a familiar notion among seekers today: "You will only see it if you believe it." To a non-believer, this sounds like self-hypnosis. Being materialists, they cling to the old formulation: "I'll believe it when I see it." But no one ever claimed that God or higher intelligence or the creative principle in the universe was tangible, like a rock or a tree. Gravity isn't tangible, either, but once the human mind decided to look for it, gravity became evident. God is subtler than gravity but just as evident, and just as dependent on knowing what to look for. Oprah.com: Who exactly is God? To be clear, James' belief is not the fervent belief of the religious fundamentalist who uses desperate literal interpretations of scripture to mask his insecurities and limited experience of the divine. This is the pragmatic belief of a working hypothesis applied toward improving one's life. Therefore, I don't think it's time to give up on believing. Quite the opposite. Belief is a step ahead of hope. Hope can be desperate, empty or false. But when you step beyond hope into belief, you do something both real and positive. You say, "I believe in something, so let it appear." In other words, you open yourself to knowledge, which is what everyone wants. Belief is a halfway house. It opens your awareness to a new possibility, and then you find out whether God can actually be known. We have countless saints and sages to tell us that God can be known; and with all their combined doubt, atheists, materialists and skeptics cannot prove that God is unknowable. The whole issue depends not on religion versus science but on James's insight that the mind allows Nature to reveal itself in greater depth the deeper we are willing to look. I find great encouragement in that insight and thought it was worth sharing. We can all benefit from James' sort of pragmatism, which says God should be adopted as a working hypothesis, even when doubt exists, because as evidence emerges to support our belief, we will succeed in living better in this world. 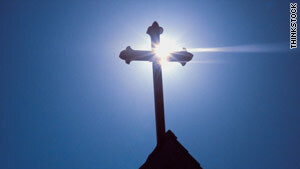 Oprah.com: The doubter's dilemma: To pray or not to pray? Deepak Chopra is the author of more than 50 books on health, success, relationships and spirituality, including his current best-seller, "Reinventing the Body, Resurrecting the Soul", and "The Ultimate Happiness Prescription".